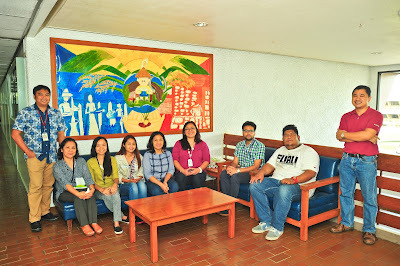 LOS BAÑOS, Philippines— The International Rice Research Institute (IRRI) Risk Management and Quality Assurance Research Data Management (RMQA-RDM) training team conducted RDM 101 course on 14-16 June at the institute’s headquarters. The course, the second for the year, covered good practices and hands-on exercises on the four areas of data management: (1) research data planning; (2) data collection, authentication, and analysis; (3) data storage, backup, and security; and (4) data archiving and sharing. IRRI recognizes that research data resulting from its research and development activities are international public goods and is committed to their widespread dissemination and use to achieve greater impact. Under the institute's new policy on research data management, all research data should be managed to the highest standards throughout the research data life cycle as part of IRRI’s commitment to research excellence. “Our research data and results are critically important so we are doing our best to reduce the risk of losing them,” said Rogelio Alvarez, IT specialist at IRRI. “Part of the risk mitigating strategy is training key staff members and securing the pertinent data by providing tools and policies,” said Alvarez who served as a lecturer during the training. The training also provided discussions and demonstrations of file management tools and software that include Mendeley and the IRRI Dataverse, an online repository for data archiving and sharing. The team also familiarized participants with the institute's new Research Data Management Policy. The participants (photo) included Marydee Arceta and Naireen Aiza Vispo of the Plant Breeding Division; and Christopher Cabardo, Richard Dean Nepomuceno, Estela Pasuquin, Setia Sari Girsang, and Joshi Tanay of the Crop and Environmental Sciences Division. The training team was composed of Menchu Bernardo, RMQA senior manager; Enrico Mercado; Alvarez who provided a lecture on data backup, security, and storage; and Lea de los Reyes who covered library services and open access publications.